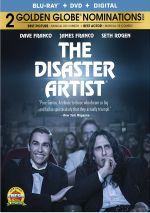 Best-known to the general public as the lead characters in 2017’s biopic The Disaster Artist, Tommy Wiseau and Greg Sestero return for the two-part “epic” Best F(r)iends. In Volume 1, a drifter named Jon Kortina (Sestero) meets a mortician named Harvey Lewis (Wiseau). A quirky sort, Harvey steals the gold teeth out of the corpses he treats. When Jon thinks of a way to turn this into riches, severe complications arise. With Volume 2, Jon seeks escape to the desert, where he flees with girlfriend Traci Walton (Kristen StephensonPino). Though they hope to find peace and tranquility, they encounter continued threats to their safety. With Sestero and Wiseau, they enjoy fame based mainly due to infamy. They created 2003’s The Room, regarded as one of the worst films of all-time, one so awful that it turned into the Plan 9 from Outer Space of the 21st century: a legendarily terrible flick well-known solely for its cinematic crumminess. Given that background, Best F(r)iends becomes a dicey proposition. On one hand, another truly terrible movie does nothing to enhance the Sestero/Wiseau “brand”, as a second super-stinker would feel redundant. On the other hand, given their past, it seems unlikely Sestero and Wiseau could generate a film good enough to elevate their careers. To overcome their history, F(r)iends needs to be genuinely terrific, the kind of flick these two seem unlikely to create. While not as terrible as The Room, F(r)iends also fails to turn into anything remotely satisfying. Instead, it gives us a common, everyday bad movie without anything noteworthy on display. Other than Wiseau’s bizarre style of “acting”, that is. Wiseau fails to display any ability to create a convincing performance, as he does little more than wave his arms a lot and throw out the same kind of loud, over-the-top reading for every line. Wiseau gives us such an awful performance that I can’t help but wonder if he just wants to extend his 15 minutes and figures another terrible piece of acting will do the trick. Is it possible Wiseau could deliver better work but he chooses this style to further his claim to fame? Definitely. Whether this is the best Wiseau can do as an actor or he’s playing a game, the end result remains the same: a weird, off-putting character. Wiseau’s Harvey fails to blend with the rest of the cast and he becomes a clear distraction. Not that the others deliver satisfying work themselves. Sestero, StephensonPino and the rest simply seem mediocre as actors. They’re not genuinely bad, but they’re passable at best. As is everything about F(r)iends, though V2 works better than V1. That’s mainly because V2 includes much less of Tommy – and even when Harvey appears, it’s not always clear that Wiseau shows up on screen. Throughout V2, we almost always see Harvey hidden behind some sort of mask. My gut tells me Wiseau didn’t come to the set for these scenes and he just did ADR, but I don’t know that for sure. Whatever the case, Harvey plays a smaller role in V2 and that factor allows it to fare better than V1 - though not if you dig Wiseau’s bizarre, campy “acting”, of course. Room fans seem much more likely to enjoy V1, largely because it focuses more heavily on Tommy. V1 also feels like a semi-remake of Disaster Artist, as it pursues the same theme of friendship vs. love. Like in Artist, the leads form an unlikely bond that nearly gets detailed when Sestero/Jon gets involved with a woman. Since F(r)iends takes some basis from true events, these similarities don’t come as a shock, but I still feel somewhat surprised that it goes down paths that echo Artist so strongly. Why didn’t Sestero try to make a film that distanced itself from prior efforts a little better? With V2, he does, though that doesn’t make the second chapter much more effective. While more watchable due to Wiseau’s less prominent presence, V2 also seems more ordinary, as it brings little more than a trite mix of thriller and Western. So fans of camp should focus on V1, and I’m not sure for whom V2 would work, as it offers neither a good movie nor a laughably bad one. Honestly, I don’t see the appeal of either chapter of F(r)iends, as the gimmicky thrills of Wiseau’s ineptitude wore off with The Room. F(r)iends just winds up as amateurish nonsense. Best F(r)iends appears in an aspect ratio of approximately 1.85:1 on this Blu-ray Disc. Though not a bad presentation, the image lacked real polish. Sharpness seemed erratic. While much of the film exhibited pretty good accuracy, some softness materialized as well, and this left things without the expected clarity at times. I saw no signs of jagged edges or moiré effects, and edge haloes remained absent. No print flaws appeared either. In terms of palette, V1 mainly emphasized the usual orange and teal, whereas the desert setting of V2 meant a higher usage of sandy tones. These failed to deliver great range but they seemed adequate. Blacks appeared reasonably deep, but shadows tended to seem somewhat flat and murky. Again, this was a more than competent image, but it failed to impress. To my surprise, the film offered a Dolby Digital 5.1 soundtrack, which became an immediate negative. No circa 2019 Blu-ray should lack lossless audio, so I subtracted points due to the disc’s failure to give us a higher-quality presentation. As for the soundscape, music dominated, and the score used the five channels in a reasonably involving manner. Effects had less to do, as they mainly emphasized atmosphere. A few more action-oriented scenes added some pizzazz, but the soundfield didn’t come with a lot of memorable moments. Audio quality was fine. Music seemed fairly full and rich, while dialogue appeared concise and distinctive. Effects showed reasonably positive range and accuracy as well. Between the absence of a lossless option and the restricted soundscape, this became a “C+” mix. Some extras pop up here, and V1 of the film brings an audio commentary from writer/actor Greg Sestero and actor Tommy Wiseau. Both sit together for this running, screen-specific look at story/character and the film’s real-life inspirations, cast and performances, sets and locations, and connected domains. Like the film itself, this commentary neither becomes genuinely interesting nor a total disaster. Instead, it resides in a land of mediocrity, one in which we get a smattering of useful details but not a lot of substantial content. Though not a poor track, the commentary fails to deliver a lot of insight. Four featurettes appear under Behind the F(r)iendship: “Welcome to My Paradise” (5:36), “Tommy and Greg: Best F(r)iends Forever” (2:21), “The Tommy Diaries” (2:55) and “Uncle Rick” (3:16). These largely consist of footage from the set, though “Rick” includes some unused dialogue. Not much of actual interest emerges along the way. Eight Deleted Scenes fill a total of eight minutes, 28 seconds. No substantial information appears, as these tend to be extraneous and forgettable. 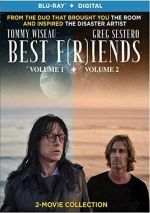 Riding on the wave of fame from 2017’s The Disaster Artist, Best F(r)iends reunites Greg Sestero and Tommy Wiseau. Unlike the notorious The Room, though, this film simply offers run of the mill crumminess and nothing likely to reach the status of legendary badness. The Blu-ray comes with fairly mediocre picture, audio and supplements. Room diehards may enjoy another view of its leads, but the movie doesn’t offer real satisfaction.